Welcome back to another month of kit-building at Counterfeit Kit Challenge. I have a lot of scrappy stuff. 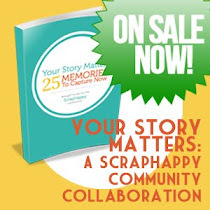 You probably have a lot of scrappy stuff, too. Let's use the inspiration to gather our stuff together in a unique way that will put it to USE on some cards, projects and layouts. I've offered a few kit building tips along the way to help you with the process Take a look at this month's offering by Noell Mignon. Go ahead...you can oooooo and ahhhhh now! KIT BUILDING TIP #1: GO WITH YOUR GUT! WHEN USING THE INSPIRATION, GO WITH WHAT SPEAKS TO YOU FIRST. I mostly chose scraps of paper, except for the one bordered chalkboard paper. KIT BUILDING TIP #2: DON'T WORRY IF YOU DON'T HAVE FULL SHEETS OF PAPER. 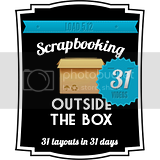 THOSE SCRAPS ARE PRECIOUS AND CAN BE USED ON SOLID CARDSTOCK OR TO MAKE CARDS OR TAGS. I included variety of mini alphas and the same glitter Thickers from last month's kit! Still plenty of mileage left in them. KIT BUILDING KIT #3: DON'T BE AFRAID TO USE THE SAME PRODUCT AGAIN IN A KIT...EVEN IF IT'S THE NEXT MONTH. IT TAKES ON A WHOLE NEW LIFE WHEN COUPLED WITH DIFFERENT GOODIES. The polka dot paper scraps really appealed to me for this kit. And to think I bought the paper based on the OTHER side's pattern. KIT BUILDING TIP #4: BE SURE TO ALWAYS EXAMINE BOTH SIDES OF THE PAPER. SOMETIMES WE GET STUCK ON THE SIDE FOR WHICH THE PAPER WAS ORIGINALLY PURCHASED. Let's not forget all of the yummy bits and bobs in my printer's tray. I can't recommend something like this enough. It doesn't have to be a wooden printer's tray, but even a divided tray for veggies and dip, a plastic container with different compartments, a tackle box insert or even small boxes lined up on a tray. KIT BUIDLING TIP #4: KEEPING YOUR EMBELLISHMENTS VISIBLE WILL HELP GET THEM ON PROJECTS! So, I hope my kit and tips have inspired you to dig through your stash and create your own. KIT BUILDING TIP #5: THERE ARE NO RULES...JUST RIGHT! THIS IS YOUR KIT...YOUR PAGES...YOUR PROJECTS! GATHER SOME STUFF AND HAVE FUN! Now go hop along to Stephanie and be sure to give an extra welcome to Jane, our guest designer and Susanne, who has come back "home" to CKC! love your tips, and the chalk board you displayed your vibrant kit on. Looking forward to seeing what you create with it. TOP tips and a fabulous kit to boot - enjoy playtime! It looks fab, the tray alone is enough to turn me neon green with envy. Can't wait to see what you whip up. I love your kit, but I really love that tray!! As always, super presentation. Love all the bright colours and your printers tray full of goodies. I don't have the surface space for such an item but it really is such a good idea. And thanks for all the great tips on putting your kit together. I can relate to so many of them. 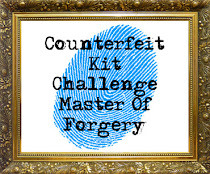 Brilliant post Lynette - awesome presentation as ever and GREAT tips for counterfeiting! Super cute kit, love the colors. So many great tips, Lynnette! Love your kit! That printer tray makes me swoon! Gold stars for both presentation and content. A great refresher course for me, on how to build kits. (Feeling a little stumped as much of my scrappy hoard is still in boxes.) You are so right about having embellies at your fingertips. I often use a (vintage?) turquoise plastic cutlery tray on my desk. Great kit and fabulous kit-building tips! You are so right about the scraps. Sometimes I get caught up pulling my full sheets of patterned paper simply because thy organized much better than my scraps, lol. Can't wait to see your projects! Great presentation and very handy tips Lynette. I love all those bright items.